In today's business environment, it is essential to have a POS solution that is secure, fast, redundant, and supports the latest payment technologies such as EMV and NFC/Apple Pay. All Business Solutions delivers on all fronts, optimizing payment acceptance while increasing productivity and managing operations. 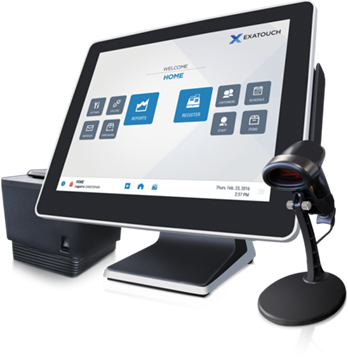 In today's business environment, it is essential to have a POS solution that not only keeps you up to speed on the latest payment technologies, but also manages your daily operations with ease. All Business Solutions delivers on all fronts – payments, front and back office management, and support. A quick cash injection through a Merchant Cash Advance or Business Cash Advance can be a powerful tool for any business. From growth initiatives to emergency funding, we provide immediate unsecured lines of credit to your business. Terms for our automated repayment range from 4-24 months. For more than 15 years of experience in the market we have been providing different types of solutions and tools to help you maintain better control of your business and increase your profits. We offer the best service in terms of the best technology available from point of sale systems for the best development of the companies of our clients. Increase bottom profits, Enhance management & control, Reduce business losses, manage schedules and inventories with ease. Best rates in the market guaranteed, No hidden charges or fees, Try us for 90 days with no contracts or cancellation fees. Leverage from your future credit card sales, Fast approvals, no credit, bad credit, no problem, No restriction in use of the money. We provide everything your company needs from hardware to ribbons and papers for printers. As a multifaceted business solutions provider we count with the resources to handle all your company technology needs and we are dedicated to providing the latest technology as well as committing to the highest service level to all of our customers. We are known for providing the best personalized service for each client and their needs. We have experience in the field to help our clients in any situation that comes in their business. Tired of empty promises? Come to work with a company that understands you and appreciates your efforts. Full EMV support, including tip adjust on EMV. Free inventory/menu programming and training. Leading hardware and feature-rich software.